The Kew-Forest School’s Centennial, celebrated throughout 2018-2019, pays tribute to Kew-Forest’s rich legacy of academic excellence and spirit of leadership, community, and service. 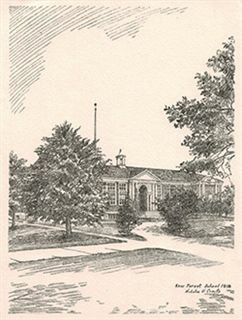 Though the administrators, faculty, and trustees of Kew-Forest have changed and its campus and grounds have evolved over the years, this commitment to excellence remains as strong today as when the School began in 1918. We hope you will join us as we continue along our journey of excellence for the next 100 years. 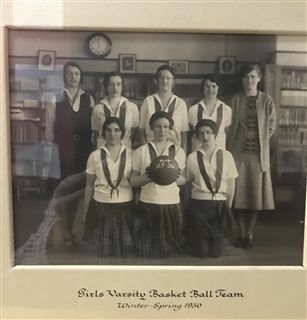 In 2018, as we enter our centennial celebration this year, here is a look back at our Girls Varsity Basketball Team from the 1929-30 season at The Kew-Forest School. Check out those uniforms!!! On September 25, 1918, The Kew-Forest School opened its doors to local youth from kindergarten through high school. Its stated mission was “to exert all its energies, to use every means at its command…to make every child an efficient worker, a helpful citizen, and a power for good.” There were 50 children in attendance on opening day. The very first students enrolled were David Millar, Jr. ‘24, who eventually became an advertising executive and journalist, and his sister Mildred, who became Mrs. Mildred Millar Graff, a famed horticulturist and park conservator. 1962 was an exciting year of events for Kew Forest. Two books in the library were found to have inscriptions written by Helen Keller. 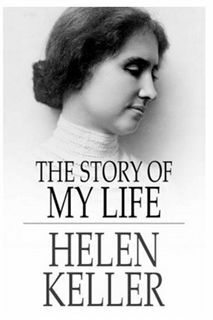 They were copies of the famous autobiography “The Story of My Life.” The autobiography is about the story of Helen Keller’s life and is an important book for all to read. It talks about Helen Keller’s early life and her relationship with Anne Sullivan. Former dean at Kew Forest, Mrs. Lucy Allen Smart, was a close friend of Helen Keller’s. The books were dated February 4, 1926. Helen Keller, took a strong interest in Kew-Forest and visited it a number of times, speaking to the children and answering their questions. Since the school opened in 1918, community service and social justice have been values that represented Kew-Forest’s commitment to making a difference in the lives of others. 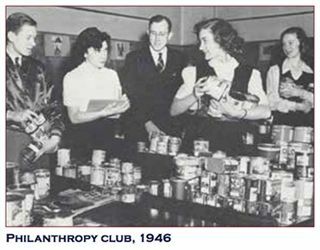 For example, from 1929 through the late ‘30s, in response to The Great Depression, students formed a Philanthropy Club that donated food and other necessities to those in need locally. Please take a moment and update your current contact info above to receive all future notifications about our upcoming Centennial Celebration. For more specific inquiries, please contact Jeanne Murphy at (718) 268-4667 ext. 114 or email: jmurphy@kewforest.org.